In this quarter, we wrapped up all of the massive changes and improvements we've been working on for our new Grids and updated Editors products and rolled them out in the 2017.1 versions of our WPF Controls and Universal Windows Controls. The new Grids product contains a reimagined PropertyGrid control that is much faster and easier to use than our older WPF PropertyGrid control. 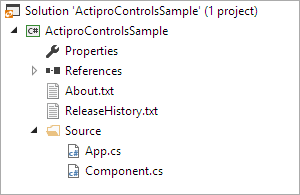 Grids also contains new highly-requested TreeListBox and TreeListView controls that are very fast and can reproduce control experiences like those seen in the Visual Studio Solution Explorer and more. All of these new controls are available for WPF and UWP. Our UWP Editors product was improved with numerous new controls and enhancements. The entire product was also ported to WPF so that there is cross platform compatibility. We did this since the new Editors are much more lightweight and in the future, any changes we make to one platform will easily roll into the other's codebase. Now that the new Grids product is officially out in the wild, we've been collecting feedback from customers and have been working on many enhancements centered around that feedback. The first 2017.1 maintenance release is close to ready for release and has a number of those enhancements in place. The maintenance release is also adding updates to our .NET Languages Add-on (WPF, UWP, Silverlight versions) to support C# 6 and VB 14 syntax, with full automated IntelliPrompt working for the new language features too. We have started work on other SyntaxEditor updates, namely implementing intra-line adornment support. 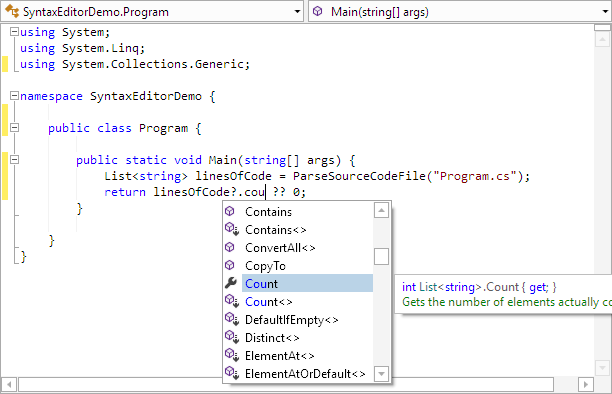 This would allow you to add features like the VS editor's Code Lens or Peek Definition to SyntaxEditor. We've started a public thread for these features and are beginning to look for beta testers. Please write our support address if you'd like to help test this and ensure that our implementation meets your needs. Beyond that, we plan on continuing adding minor enhancements to Grids, SyntaxEditor, Editors, and Docking/MDI over the coming weeks. The 2017.1 versions of our WPF Controls, Universal Windows Controls, and Silverlight Controls were recently released, with the WPF and UWP controls getting some enormous updates in these versions. The primary focus of the 2017.1 version in WPF and UWP was to add an improved PropertyGrid control and tree controls (TreeListBox and TreeListView) in our new Grids product, and to update Editors to be more modern/lightweight, and share a codebase between the two platforms. Another focus was on maximizing the performance of all the controls. 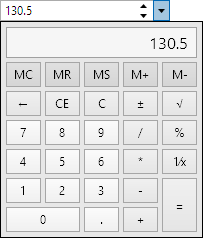 The new PropertyGrid for instance shows a massive speed increase over the older WPF v2016.1 PropertyGrid. If you want to discuss the new controls added in 2017.1 or have suggestions for additional features, please join our #UIControls channel in our Slack team. It's free and you can chat with us and other customers. Please note that the v2017.1 WPF Controls have PropertyGrid, Editors, and licensing breaking changes to support better API design and features, so be sure to read the "Converting to 2017.1" topic in the documentation that comes with the controls. It walks through everything in detail. 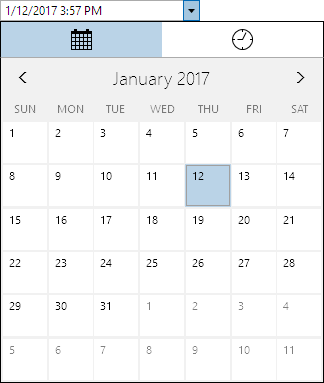 Grids is a new product added to the WPF and Universal Windows Controls in v2017.1. It features three primary controls: TreeListBox, TreeListView, and PropertyGrid. TreeListBox is a single-column control that renders a tree structure. 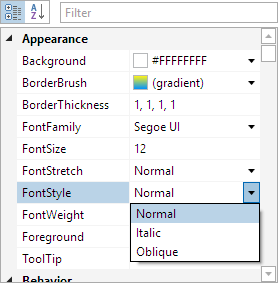 It is designed to mimic the features found in the Visual Studio Solution Explorer. You have full control over the appearance of each node, and can easily wire up any tree data model for rendering via the use of our adapter pattern. The UI tree is virtualized for optimal performance. Unlike the standard WPF TreeView, TreeListBox is a single ItemsControl that is far less resource intensive and doesn't experience odd vertical scroll jumpiness. You have full control over whether nodes are expandable, when they load children (and with optional use of async loading with a busy indicator as seen above), and selection modes (single/multiple). A powerful filtering mechanism is included that allows you to add type-to-filter support. F2 can initiate inline editing of node text. Drag and drop can be enabled and you determine what is dragged/dropped. This just scratches the surface, and there are many other features included. The TreeListView control builds on top of the foundation provided by TreeListBox and adds multiple columns with an optional header, similar to a standard WPF ListView. 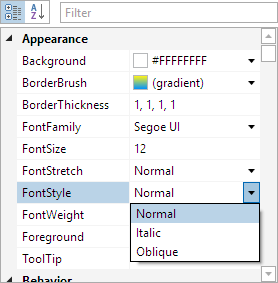 Columns can be sized using several algorithms, resized/reordered by the end user, or certain columns frozen such that they don't scroll horizontally. Grid lines can be optionally displayed. The PropertyGrid control is based on TreeListView and renders a grid of all the properties of one or more objects and their values. Properties can be displayed by category, alphabetically, or using a custom sort. A PropertyGrid control was available in older versions of our WPF Controls, but we rewrote much of the internals for v2017.1 and optimized the object model to focus on maximizing speed and ease of use. The new PropertyGrid can load large complex objects almost instantly. It's simpler than ever to customize how properties are edited via the use of property editor DataTemplates. You have full control over which properties are presented and how. The 2017.1 version ported the Universal Windows Editors back to WPF so that they now share a codebase. This decision was made because the newer Editors designs are much more lightweight in terms of UI elements used in each control, and the number of bindings involved. This improves UI performance when using many Editors controls in grids like PropertyGrid. You'll still find many great editing features such as the ability to use arrow keys when typing in edit boxes to increment or decrement part values. 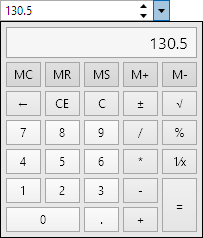 Each edit box now has an optional dedicated picker control that is used in the drop-down, like the calculator shown above. The picker can be easily styled if a custom appearance is needed. 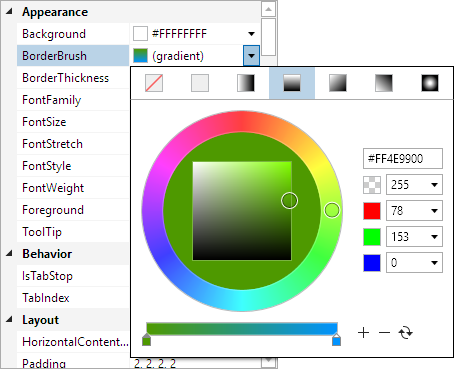 In addition to porting the UWP Editors to WPF, we also added a number of new editor controls. 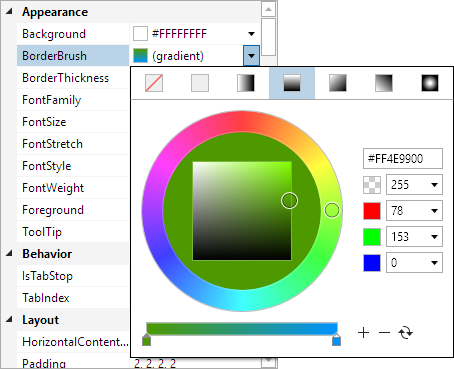 Editors in both platforms feature specialized edit boxes and pickers for these .NET types: Brush, Byte (WPF only), Color, CornerRadius, Date, DateTime, Double, Enum, Guid, Int16, Int32, Int32Rect (WPF only), Int64, Point, Rect, Single, Size, Thickness, Time, TimeSpan, and Vector (WPF only). Editors also has these other various miscellaneous controls: Calculator, CountryComboBox, CurrencyComboBox, EnumListBox, GradientStopSlider, HsbColorPicker, MonthCalendar, RadialHuePicker, Rating, SaturationBrightnessPicker, and Spinner. The licensing mechanism was updated for the WPF Controls in v2017.1 to be simpler. Regardless of which WPF products you've licensed from us, your apps will only need a single line in the licenses.licx file going forward. Please read the Converting to 2017.1 topic in the documentation for details on these updates. 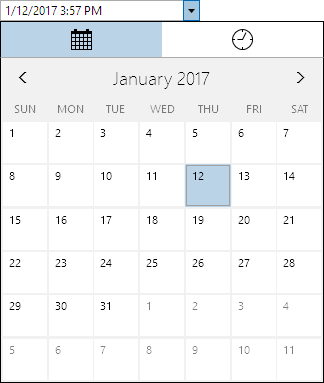 With the 2017.1 version of our WPF Controls about ready for launch, we wanted to release one more 2016.1 maintenance release of the controls. This maintenance release has many minor updates and bug fixes. Some notable new features include improving the speed of SyntaxEditor text formatters for numerous languages and allowing the Ribbon Backstage "close" button to be hidden, which is applicable for app startup usage scenarios. The full update details are contained in this forum thread. Look for v2017.1 to roll out in the next few days!